This is the promise kept by Maison Krug thanks to the highest levels of care they employ throughout the process of making champagne – since 1843. Central to this are always the roughly 400 different, carefully chosen wines from up to 25 vineyards and spanning ten vintages. These must be sampled meticulously before a grande cuvée can finally mature to perfection in the vaults of the winery in Reims. Such passion is rewarded consistently. It attracts faithful fans as well as top ratings at tastings all over the world. You never forget your first glass of champagne. Margareth Henriquez certainly hasn’t. At the age of eight, she was finally allowed to take a small sip of champagne to celebrate Christmas. That was in Caracas, about 52 years ago. “My parents had gathered together the whole family and our maids and manservants. There were presents and my father addressed special words of gratitude to each person. And he had brought champagne.” Krug’s President and CEO remembers begging her parents from the age of six to let her try the beverage her dad and all the other adults were raving about. 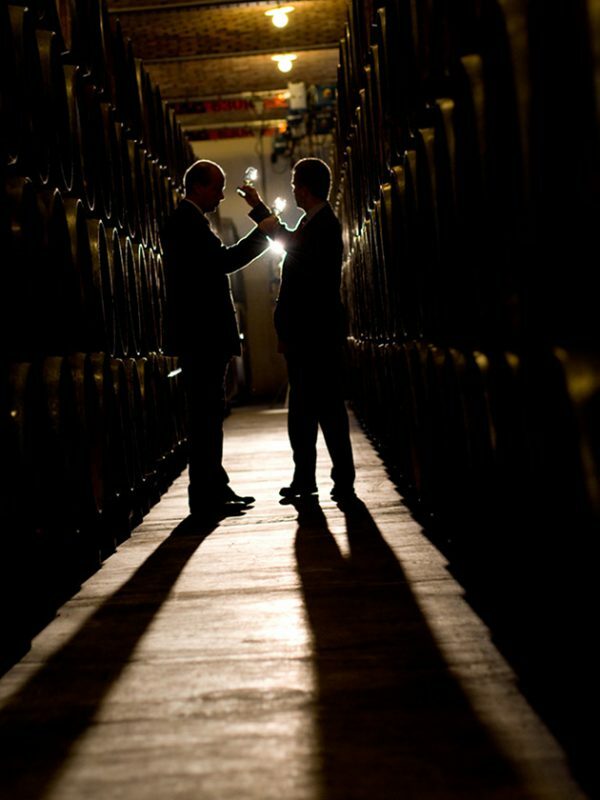 Today Henriquez, who has been at the helm of the brand since 2008, no longer needs to ask anyone for a glass of champagne. But every drop is still an extraordinary experience: produced from the finest grape varieties and by a process based on centuries of expertise and shaped by passion. In short, the best of the best – since 1843. That was the year the son of a butcher from Mainz, Germany named Johann-Joseph Krug, who was full of admiration for French savoir-vivre, founded the company in Reims. For the real connoisseurs – the so-called “Krugists” like Maria Callas, Ernest Hemingway, Coco Chanel, John Le Carré and Naomi Campbell – this represents a defining moment. Joseph Krug was already 43, but he pursued his vision of creating the perfect champagne with ceaseless energy. Afer coming to the Champagne region as a trained accountant, he had become the co-owner of another “Maison” and married his boss’s oldest sister. The successful vintner Hippolyte de Vivès provided him with moral and practical support. 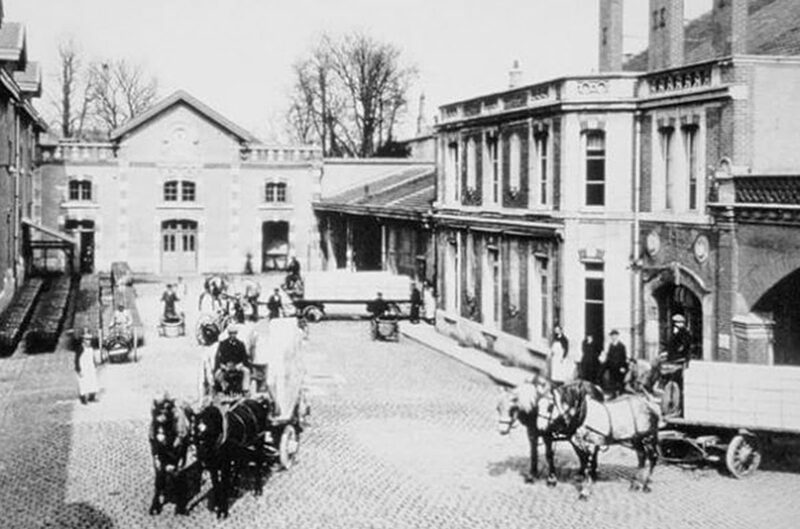 In 1845 they were able to produce the first 40,842 bottles of Krug Grande Cuvée and put these to mature in the vaults in the Rue Saint-Hilaire. Adventure, no doubt. But one that Joseph Krug had superbly prepared for. He had absorbed everything about wine growing and about champagne production and distribution in the preceding eight years, noting it all down carefully in leather-bound diaries. Among these are his “Reflections on the tirage of cuvées and their composition” from 1848, a kind of manifesto for bottle fermentation. The principles he laid down remain unchanged – even after six generations and the upheavals of several wars, and after the sale of the company to Louis Vuitton Moët Hennessy in 1999. The journey of each of the 450,000 precious bottles that Krug sells every year – a mere one percent of the world market – always starts with grapes of extraordinary quality. An impressive 30 percent of them come from the company’s own vineyards like Clos de Mesnil and Clos d’Ambonnay. The harvests of these vineyards are often celebrated by making them into special vintage champagnes. 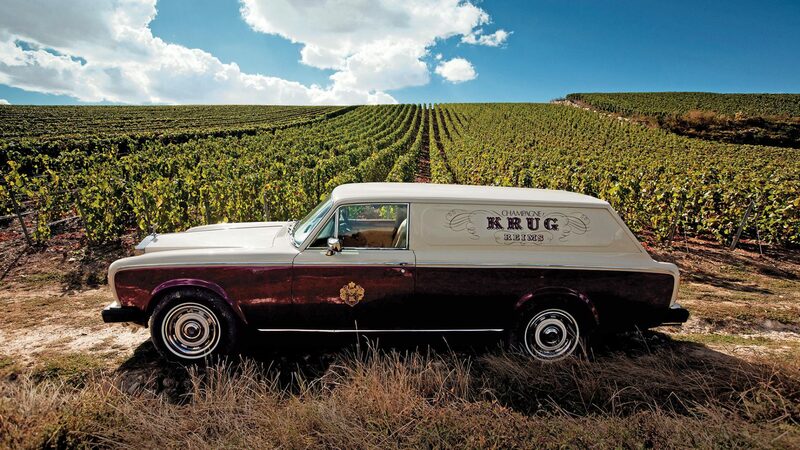 Up to 70 percent of the grapes the company is offered by other growers are rejected as “inadequate.” Even when harvesting grapes like Pinot Noir, Pinot Meunier and Chardonnay, Krug employs its own methods. Instead of picking an entire vineyard in one go, they wait for the perfect day – and even the perfect moment – for each grapevine. Only the juice of grapes from the first pressing is used. 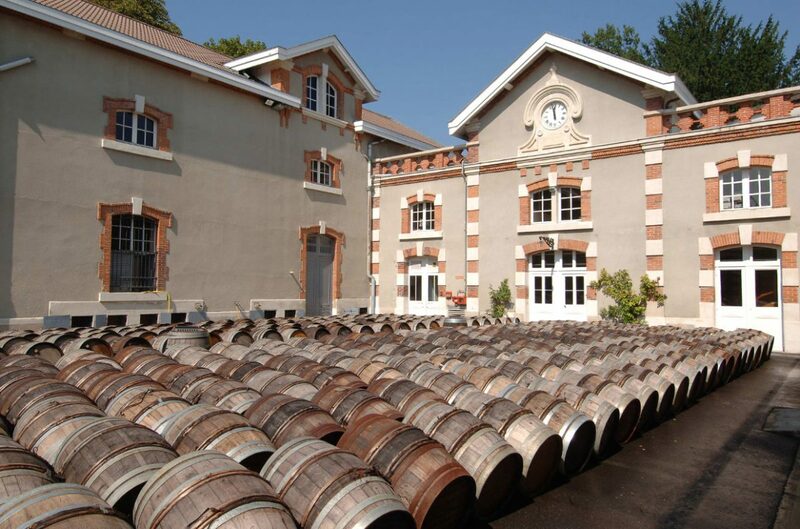 It is filled into one of 4,000 oak barrels that hold 205 liters produced for Krug by the Seguin Moreau and Taransaud cooperages – both companies steeped in tradition. For several weeks the wine, which has been separated by winery, variety of grape and vineyard location, undergoes a slight, natural oxidization process caused by the pores in the wood of the barrels. The team around master cellarer Eric Lebel describes this process as “bringing the wine to life.” The actual fermentation takes place in stainless steel barrels. Over the fall and winter months, a committee of five permanent members – composed of Olivier Krug, the representative of the family and company director for the last ten years, Eric Label and a further three key people – conduct blind taste tests. The committee then rates the 250 wines selected from that year’s vintage produced by the 270,000 vineyard locations in the Champagne region. They do this twice a week, always at 11 o’clock, when the taste buds are said to be particularly sensitive, and afterwards write up a total of 5,000 notes detailing these tasting sessions. 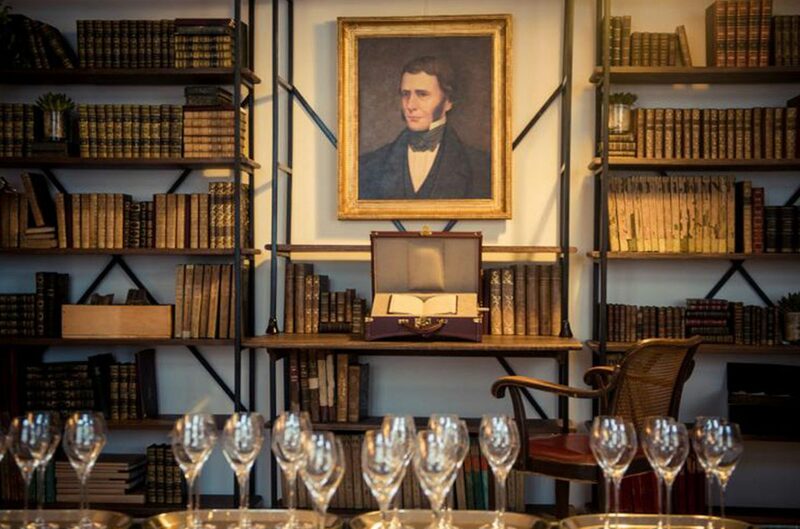 The character of the vintage begins to take shape in late December, and the committee picks the missing nuances from its permanent “library” of 150 wines spanning 12 vintages. In the spring, all the favorites are tasted again before master cellarer Lebel makes three suggestions for the blend. The final creation is bottled from April to May and is matured for a minimum of five years. Special vintages sometimes mature for up to 15 years. Nowadays, the year and quarter in which each bottle has left the Krug wine cellar can be determined with the aid of the “Krug ID” on the label. In addition to this, an app discloses all the details of a specific harvest. Julie Vacil, an enologist at Krug, jokingly describes the demanding work of creating a grande cuvée, which Joseph Krug would have been proud of, as follows: “It’s like making ratatouille. You can let the vegetables simmer in a pressure cooker for 20 minutes, or you can respect each type of vegetable, prepare them all separately and combine them just before serving. That is how you get the best out of all the ingredients.” All this “just” so that in the end, a special aroma unfolds in the glass and prompts each connoisseur to offer up their personal associations: unpicked apples, almonds, brioche, citrus fruit, hazelnuts or leather. This masterpiece is too precious to be sprayed into a crowd or consumed too cold. There is no harm in it being slightly warmer than the widely touted eight to ten degrees centigrade, advises Margareth Henriquez. She also recommends not using champagne flutes, but white wine glasses, otherwise you will taste nothing but icy bubbles. 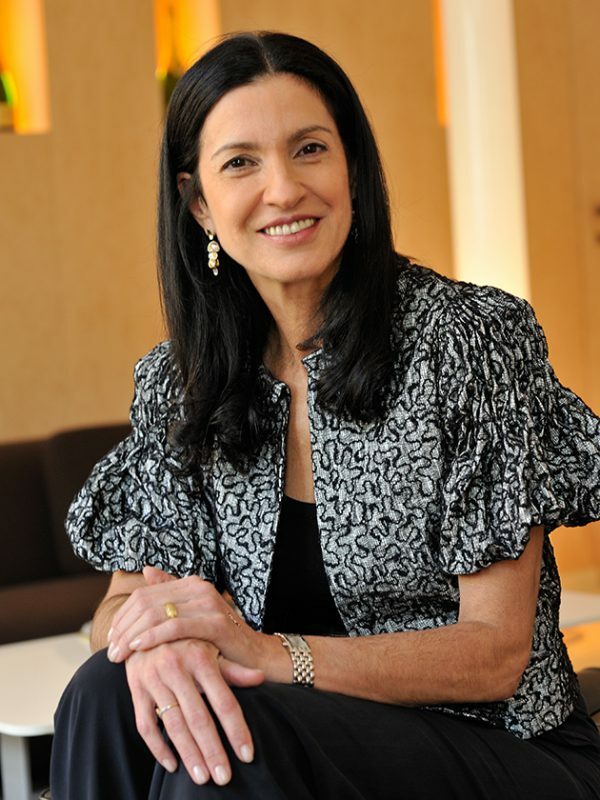 Exploding boundaries is second nature to the Krug company and its president, who studied management at Harvard and is doing a PhD. “Champagne is not just an aperitif. Our rosé in particular harmonizes marvelously with main courses. And why not enjoy some Krug Collection in a cognac glass, together with a great cigar?